The Froggy match-it app is a fun educational learning game teaching 5 & 6 years old's reading and spelling using the popular 'phonics' method taught in most UK schools. T who's 4 1/2 has been learning phonics at nursery for a few months now and we've started reading the very basic books, I'm pretty sure that he's going to be a little bookworm like I was, I thought that this app would be perfect to work alongside this and discussed with nursery who agreed that he would really benefit from it. With it being on the tablet too, makes it a little more desirable to him as I don't think he's even realized that he's learning! So... I made sure I sat with him and we sounded out the words together before he added them, this way I could make sure that he had actually worked it out correctly and not just guessed, yes, I've got a very crafty 4 year old! It wasn't long before he was starting to recognize the difference between 'do' and 'di' and starting to go beyond the first letter of the word. The intro level is available on the free app, and the full app is available for £3.99. 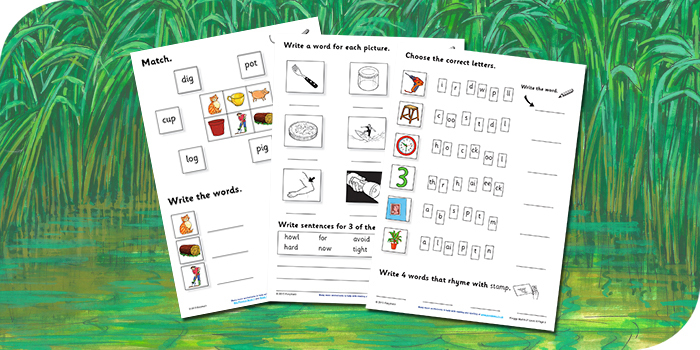 These fab writing sheets are also available to download from the website to continue off-device learning. 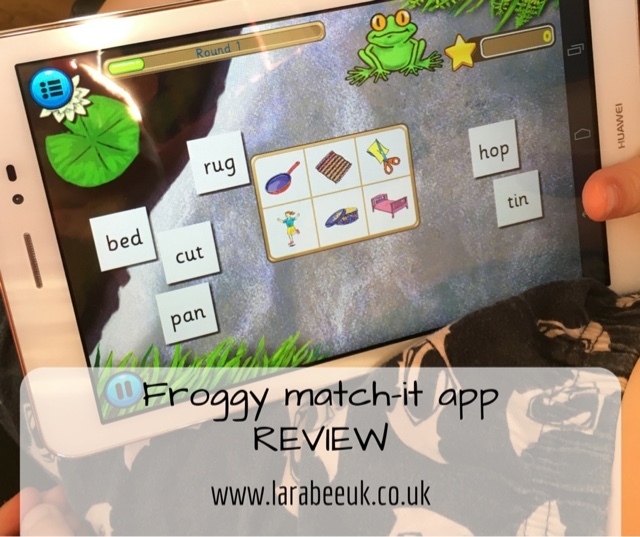 We are great fans of the froggy match-it app, it's such a great learning tool for foundation learning. I have 2 free downloads of the full version to giveaway. Enter below! Thanks for the recommendation! 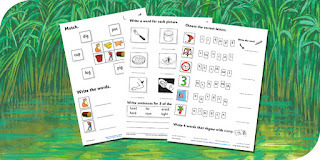 My eldest is doing phonics at pre-school too but I am completely clueless so rely on technology to help continue her learning at home (terrible I know but I don't want to get it wrong)! This looks like a great game and, like you say, they don't realise they're learning! We too are doing phonics at school, so this will go well alongside it. My nephew will find these tips very useful. Looks fab. Sounds like a super app. My kids would have loved this when they were that age, I think. 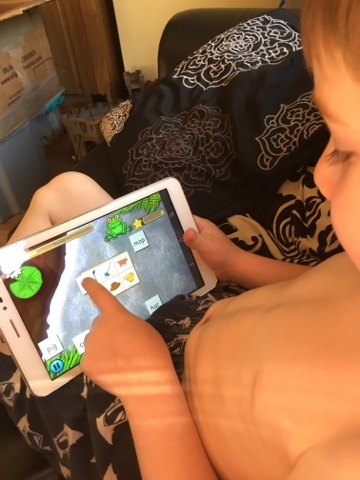 My little one absolutely loves games on the ipad, I've set it up so he can only play games so educational ones are a great bonus! I'll have to try this out.